YES!! 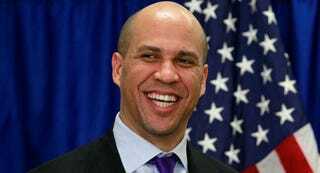 CORY BOOKER WON THE SENATE SEAT. I am all kinds of happy about this. Maybe he can rescue Congress like he rescued all those people in trouble. And the dog. Don't forget the dog! The man is basically a superhero.